These camps are specifically designed to inspire our middle school age campers with more diverse and challenging experiences. Broadway 360 with Liz Rubino : Mary Poppins Jr.
Young artists taking part in this premier program will be exposed to a full circle musical theater experience. Campers will begin with the casting process and auditions and end with a final performance. Camp JCC campers will also perform a hit Broadway musical for the public in the Youngstown area as well as for family and friends at Camp JCC. No previous experience is required; all levels are encouraged to participate. Adventure seekers and nature lovers, this camp is for you! 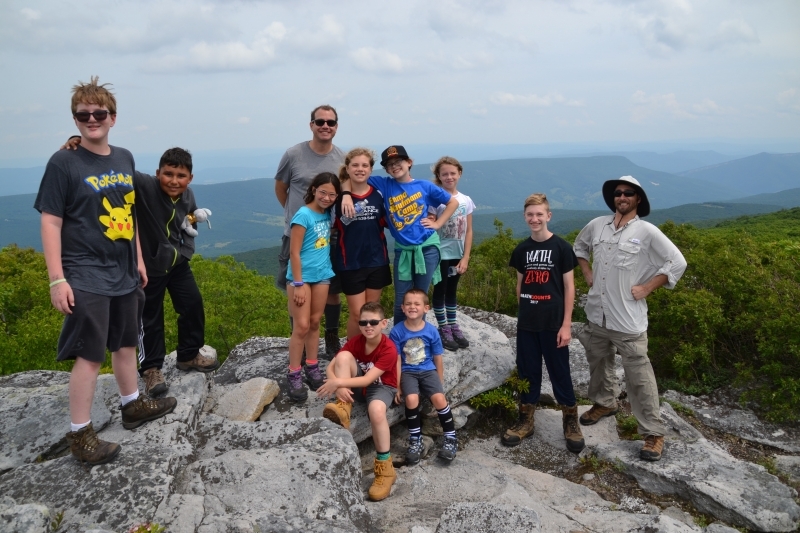 This week long advanced specialty camp is a unique and exciting opportunity to experience and learn about nature through an authentic, two-night backpacking trip! We will be learning about safety and equipment training, receive an environmental education lesson about local flora and fauna, habitats, and history, and spend two nights exploring the wilderness as true backpackers. All equipment, food, and transportation will be provided by Camp JCC. Campers are required to bring their own (counselor approved) ankle supportive, hiking boots. Campers enrolled in this camp will be participating in swimming during the week.